In the last five years, there has been an almost insatiable increase in demand for direct-to-consumer genealogy and genetic testing services. Estimates suggest that there are in excess of 12 million users globally, while 1 in 25 American adults have access to their personal genomic data. Providers such as 23andMe and ancestry.com allow users to research their familial origin and genetic composition, all from the comfort of their own home. Maybe such knowledge does not interest you. After all, what do you do when you find out you aren’t what you think you are, or more alarming, your DNA reveals genetic mutations that suggest an increased risk of an incurable disease? Who Do You Think You Are?, a BBC television program in the UK devoted to tracing the ancestry of celebrities, regularly turns up ignoble and notorious back stories, while clinicians have been flooded with inquiries from confused and panicking patients whose life has been thrown into turmoil by reports that suggest the potentiality of a rare and irremediable disease. This kind of knowledge can be as dangerous as it is exciting, and not one of us possesses the power to unlearn what we discover! Nevertheless, millions continue to subscribe to these services, suggesting that we are inquisitive as to our ancestral heritage and genetic make-up. In short, we are fascinated by our past and intrigued by our possible future. Given our interest in our own genealogy, it is somewhat surprising that the genealogies are among the most often overlooked portions of the Bible. Which of us hasn’t been tempted to skip a day in our reading plan when faced with a lengthy list of names? Understandable, maybe, for the Chronicles can make for hard reading. But we should remember that the Bible self-attests that “all scripture is given by inspiration of God, and is profitable” (2Tim 3:16 KJV). Even without knowing the pivotal role genealogies play in the biblical narrative, this verse presents two central reasons why we should read (and study) the genealogies. First, they are as much inspired as any other part of Scripture. The gospel preacher delights in the divine inspiration of John 3:16; the exhorter revels in Romans 12:1-2; and the Bible teacher glories in Ephesians 1. But Paul informs Timothy that all the “hard-going” genealogy sections are equally inspired, and thus worthy of our attentive reading and contemplation. Second, they are profitable – that is, they are useful. They actually serve a purpose! In the immediate context we note that they are useful “for doctrine, reproof, correction and instruction.” The relevant question is not whether a genealogy is profitable, but how might I use one profitably? Before plunging into an outline of our approach to this question, a definition is in order. The English word is derived from the Greek word genealogia, itself consisting of two separate words: genea meaning “generation,” and logia, in this case meaning “study.” Thus, the English word means the “study of generations,” and this aligns with both the Hebrew and Greek biblical words. It first appears in reference to the heavens and the earth as “generations” in Genesis 2:4 where the sense is “account” or “record.” Thus, the Spirit of God records for us the historical account of how the creation came to be. The next mention is in Genesis 5:1 where we have “the book of generations of Adam” followed by a complete history of the family lineage from Adam to Noah. In these two uses of the same Hebrew word, we have an outline of two distinct purposes of a biblical genealogy: first, it is to record the history of Scripture, and second, to prove the historicity (accuracy and authenticity) of Scripture. At first pass these might seem to be interchangeable terms, but there is an important distinction. History is the simple recording of a fact; Adam begat Seth. Historicity is the authority which the fact carries due to the reality that it establishes; there were real men called Adam and Seth, and their ancestry can be traced throughout the course of the Old Testament, so much of which is doubted by critics. The combination of history and historicity serves a broader objective vital to the Christian faith: to prove the authority of Scripture. The historicity of Scripture, established by the genealogies, is a serious problem to skeptics. Thus, it might be summarised that the function of Scripture’s genealogies is apologetic in nature; they exist to verify Scripture’s accuracy and thus prove their veracity. More specifically, genealogies are most often used to provide legitimacy to an individual’s claim upon a specific role or office. For example, take the genealogy of Genesis 11: commencing with Shem, it moves through ten generations, culminating with Abraham. Of all the families that descended from Shem, the author traces one particular line, Abraham’s. In the next chapter we are properly introduced to him as the original recipient of God’s program of covenant blessing. He is promised that it will be to his seed (singular) that the land will be given (Gen 12:7). Galatians 3:16 informs us that the seed is Christ; thus it is imperative that Scripture record Abraham’s full ancestral descent. The fact that Abraham is linked to Shem in Genesis 11, Shem is linked with Seth (and Adam) in Genesis 5, and Abraham is linked with Christ in Matthew 1 and Luke 3 leaves us with a fully reliable record attesting to the historical reality of Abraham, and the genuine claim that Christ had as Messiah. Abraham’s genealogy is one piece of the jigsaw, proving his legitimate claim to be the father of the nation of Israel. Christ’s genealogy in Matthew 1 completes the picture by tracing His lineage from Abraham. While the genealogies of Adam, Shem, and Abraham make for interesting reading, and confirm for us that these men really lived and are not fables, the ultimate aim of each of Scripture’s genealogies is so that they might leave a composite historical record that presents the Christ of God as the historical answer to the prophetic requirements. Throughout the course of these articles we will use Scripture’s genealogical record to investigate some of the characters linked with Christ. We will learn truths from the stories of Adam, Abraham, David, Boaz and four unlikely women – Tamar, Rahab, Ruth and Bathsheba – that will teach us about the character of God and the person of Christ. 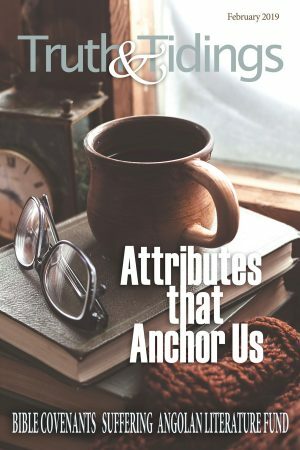 Far from the dusty, dry sections we might consider to be skippable, we will discover that genealogies are comprised of wonderful back stories of redeeming grace, intricately weaving together the contours of biblical history, and containing interpretative keys to some of the most important of biblical doctrines.